The Atacama desert in Chile is the driest place on earth. Here, in one of the most inhospitable regions on our planet the biggest space observatory ever constructed by man has been built. ALMA – the Atacama Large Millimeter Array – takes space observation to new heights. Equipped with the most advanced technology astronomers can investigate the origins of the universe, the birth of solar systems and planets, mysterious dark molecular clouds, and many other astronomical enigmas. 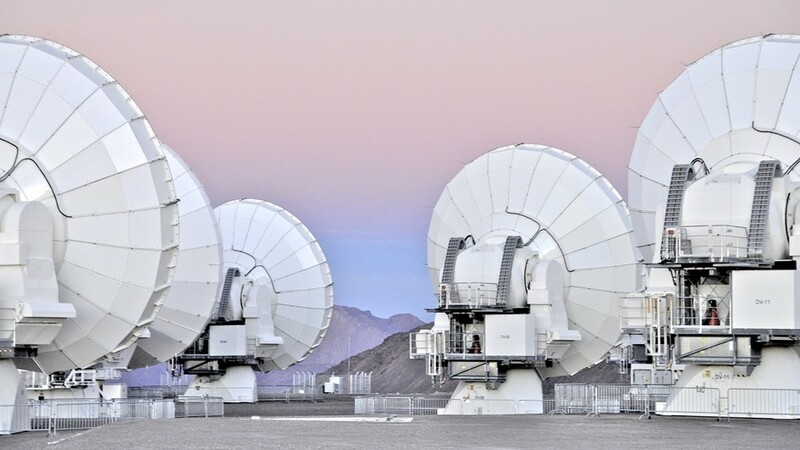 ALMA consists of 68 enormous parabolic antennae, trapping cosmic rays in hitherto virtually unobservable long-wave range – something that is only possible here at an altitude of 5,300 metres and extremely low humidity levels. The conditions at over 5,000 metres are extreme and the international construction project costing a total of over 11 billion Euro funded by Europe, the US and Japan, has been a gigantic challenge for engineers and scientists alike. But all their endeavours have been worth it: ALMA is designed to solve puzzles far beyond earthly concerns. Through the ‘Eyes of the Atacama’, as scientists call this impressive array of antennae, they hope to establish new milestones in astronomy. In large-scale images combined with an eye for detail, we bring to life the adventure of space research. In addition, we get insights into the fascinating area where ALMA has been built – the breathtaking landscape, fauna and flora in one of the remotest corners of the earth.